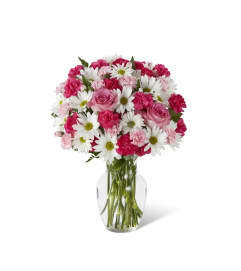 The FTD® Tranquil™ Bouquet blooms with a sweet sophistication and style to bring a calming grace to any event or occasion. 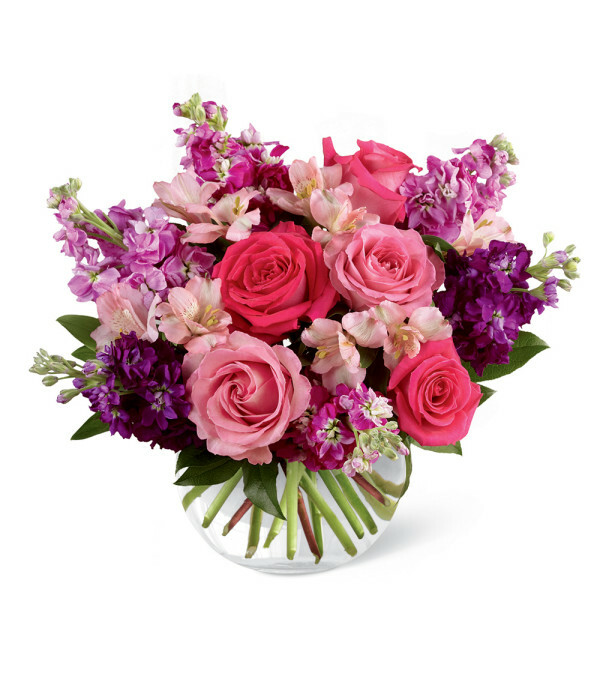 Hot pink and pink roses are brought together with purple, lavender and fuchsia stock stems accented with pink Peruvian lilies and lush greens to create a simply stunning flower arrangement. 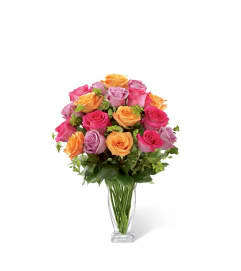 Presented in a clear glass bubble bowl vase, this exquisite fresh flower bouquet will make an excellent birthday, anniversary or sympathy gift.